How can I keep Google happy? Google’s algorithm is built about rewarding those who add value to the internet and offer answers to questions their users are longing for. Google is a search engine, so the more relevant you are to a specific set of searches the better, but you can’t dominate for every search phrase so you do have to pick and choose. You may find that you simply do not have the time or resources to produce content every day for Google just to boost your SEO rankings, and that’s fine, but why not choose one of the many it outsourcing companies to help you out. If you find a firm who can produce quality content that’s unique to your brand for a small fee, it could be well worth the investment because you’re still giving Google exactly what it wants; fresh, engaging and valuable content. This entry was posted in Search Engine Optimisation on August 10, 2018 by James. Google Business is very useful for SEO and for a number of reasons. For those of you who are unsure what Google Business is, the system is designed to help customers interact with your business. Everything is at hand: business contacts, website address, reviews, location and business hours. So let’s say that someone searches for your company online, your very own business listing in Google will appear (if you’ve signed up for Google Business and created an account). This appears high up in search results in mobile or on the left-hand side in desktop, so it does stand out from the other search results. The user can then decide what they want to do next, whether that be to read some reviews, see where you are on the map or check your opening times. It also verifies that you’re a legitimate company. This entry was posted in Search Engine Optimisation, Search Engine Placement on March 29, 2018 by James. This entry was posted in Search Engine Optimisation on January 31, 2018 by James. We’ve all seen those emails that fly in from SEO companies in India who can give you ‘number one rankings instantly’, and for many small business owners it’s tempting to let them have a go and see how well they do. We advise against this, and it’s important you know SEO takes time and the best companies will reassure you of this. 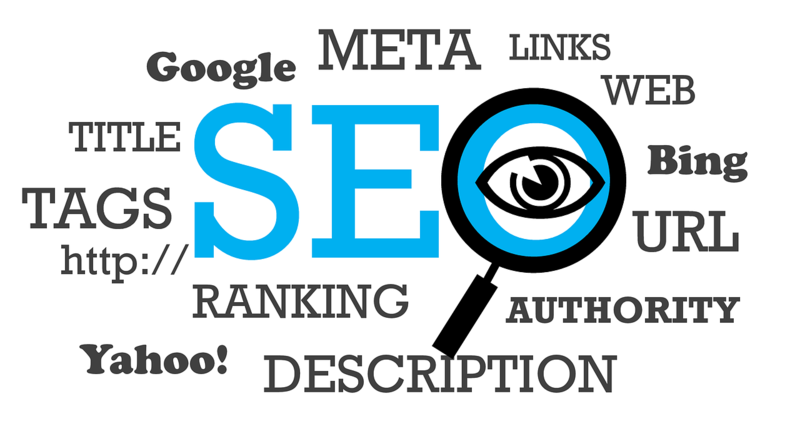 Time is definitely your friend with regards to SEO and it makes logical sense. Google should not trust you over competition that has existed for decades, whilst you’re just a newbie on the block. It takes time for Google to trust your website, and you have to show them you’re willing to do all of the right things first, such as producing relevant, engaging and targeted content on a regular basis. You may want to look into more technical aspects like site speed, responsive deign and link profiles to better your SEO efforts, but one thing you should always take into account is that it takes time. Be patient and persistent, and you will succeed. This entry was posted in Search Engine Optimisation on October 10, 2017 by James. Google Business can put companies on the map quite literally, even if they don’t have a website, so many local shops use it to their advantage, gaining customers in a free and simple way. That said, even medium-sized and large companies should make use of Google Business because it’s a place people visit to find more information about your company, and many people will find your Google Business listing when they search for your company name in Google. They can then quickly and easily press a button to call you, visit your website or email you, whilst you can view your statistics to see how your performance is improving or declining. Every company in the world should have a Google Business Listing, so be sure to look into it if you haven’t already, you may gain 5 more leads a month or perhaps 500. That may of course not be the case, but on the whole, it’s just another way people can find you. This entry was posted in Marketing, Search Engine Optimisation, Search Engine Placement on September 17, 2017 by James.